Cannabis is very popular for being a medicinal herb since ancient times. It has been around for over thousand years. The plant however has been abused a lot, leading to its illegal status. There have been recent changes in the prohibition rules leading to a ray of hope for many medical patients and recreational drug users. There are studies going on that have suggested that Cannabis contains cannabinoids and a substance called as terpenes which have strong medicinal properties that can be used to treat a number of disease and even cancers like leukemia. It acts by killing the cancer cells and so can be used for patients who are battling leukemia and other kinds of cancers. Cancer is known to be a deadly disease and most of the people have encountered the disease in some form or the other, in a family member or a distant relative. The numbers of cancer cases are rising by the day. In 2016, there were more than 10 lakh new cases of cancer detected in the United States alone. Of these at least 5 lakh patients lost their lives to the deadly disease. The commonest cancers that were recorded were lung, breast, bladder cancer and leukemia. These cases were treated by the known methods like chemotherapy, radiotherapy and surgery. Majority of these treatment modalities have severe side effects. This severity has lead to the rise of alternative therapy in this segment. Here comes the role of cannabinoids and their antitumour effects. The mode of action of these drugs, particularly cannabinoids along with chemotherapy is believed to be inhibition of cell growth and cell death. Leukemia is also commonly known as blood cancer. It is a cancer that affects the blood cells. There is an abnormal production of the white blood cells or leucocytes which are responsible for protecting the body against diseases. These cells then get stored in the blood or the lymphatic tissue. But when there is an abnormal production, the resultant is infections and bleeding. 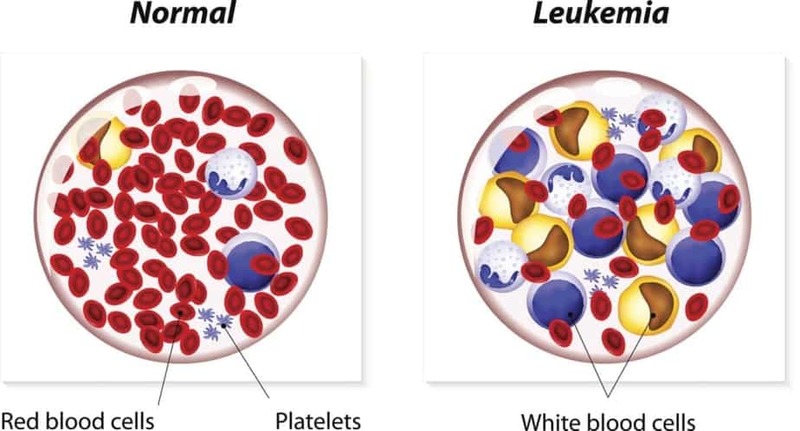 The commonest presentation of leukemia is bone and joint pains, repeated infections, weight loss, fevers and bleeding. The exact reason of the onset of leukemia is not known but certain predisposing or risk factors include chemotherapy, smoking, family history of cancer etc have been identified. The estimate of the number of cases of leukemia in 2017 in United States alone is 62,130. The use of cannabinoids in treating cancer along with chemotherapy is being studied. The results of the study prove that these active principles or cannabinoids have got anticancer properties. The THC and CBD content of the drug was found to be very effective when used together. Cannabis when used along with the regular chemotherapy gave better results by causing death of the abnormal cancer cells. The latest studies that took place in controlled laboratory settings, suggest that pairing of some kind of cannabinoids together leads to better results. The product that results from this combination can further be used synergistically along with other anti cancer drugs. By doing so, the dosage of the cytotoxic cancer drugs can be used while keeping the efficacy high; thereby reducing the side effects in patients. The mechanism of action of these cannabinoids killing the cancerous cells is called as “apoptosis”. Apoptosis is basically an inbuilt natural mechanism in the body where the immune system causes the death of the cells in a controlled manner to ensure normal development and growth. It has been researched that THC initiates the process of apoptosis in leukemia T cells. Case Study: Here the sample size used is a single human being with cancer. A 14 year old cancer patient was diagnosed with leukemia. This patient was treated with all the modalities like chemotherapy, radiotherapy and even bone marrow transplantation. But the treatment failed within two years. All methods being exhausted, the patient was given oral cannabis extracts. The results were a rapid correlation that was dose dependant. The counts of the cancer cells began to drop and the spread of the cancer was restricted. In one instance hemp oil which was extracted from cannabis plant was used to treat many types of cancers. The future of treatment of cancer with active ingredients from cannabis is bright. Their use will be mainly in combination with the primary therapy thereby increasing the efficacy and reducing the detrimental side effects. This will improve the quality of life in cancer patients and bring down the mortality rate associated with the disease.